Jayded Dreaming Beauty Blog : Stila Friends and Family Sale 20% off + FREE Shipping! 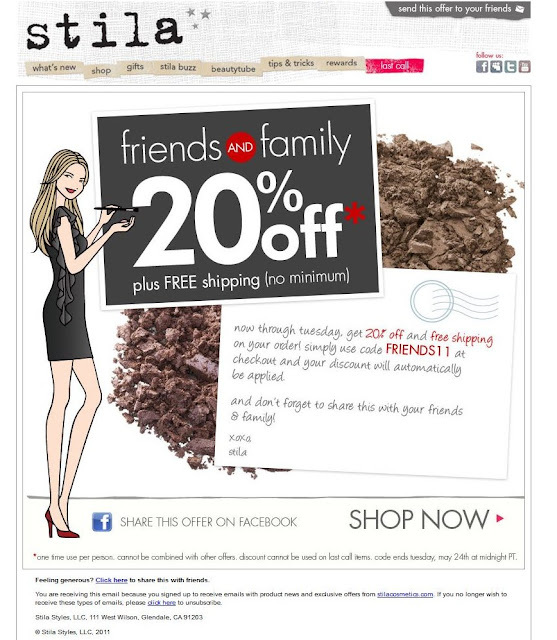 Stila Friends and Family Sale 20% off + FREE Shipping! 20% off* plus FREE shipping (no minimum)now through Tuesday! Simply use code: FRIENDS11 at checkout and your discount will automatically be applied and don't forget to share this with your friends & family!